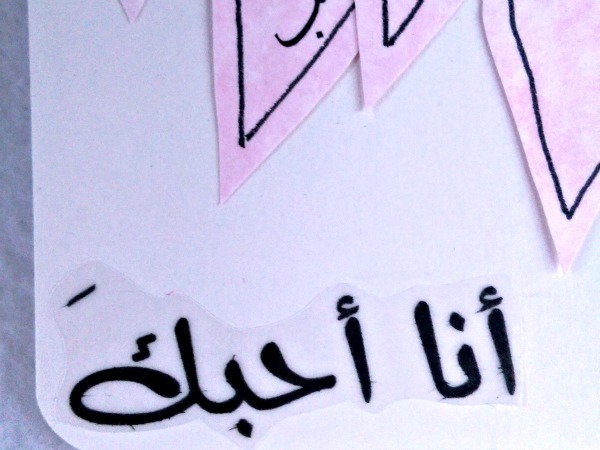 This Arabic card has the words I Love You (to a male*) placed in a corner of a card that opens right to left. 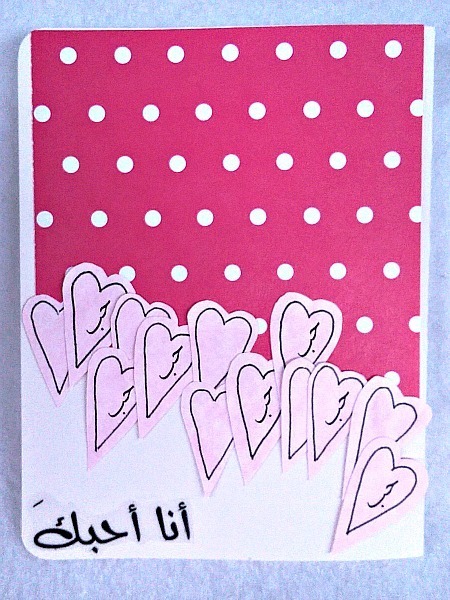 I've added a red polka dotted background with the words Ana Ahibbuka - I love you in Arabic - placed on top in the lower left corner of the card. 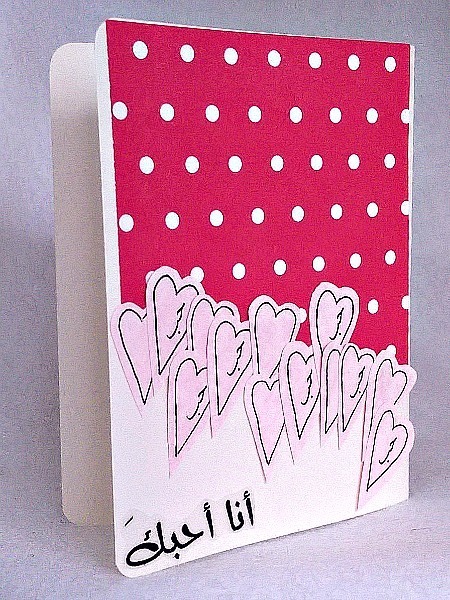 The red paper is cut at a diagonal with a cascade of pink hearts. Some of the hearts have the Arabic word for love - hobb - written on them. 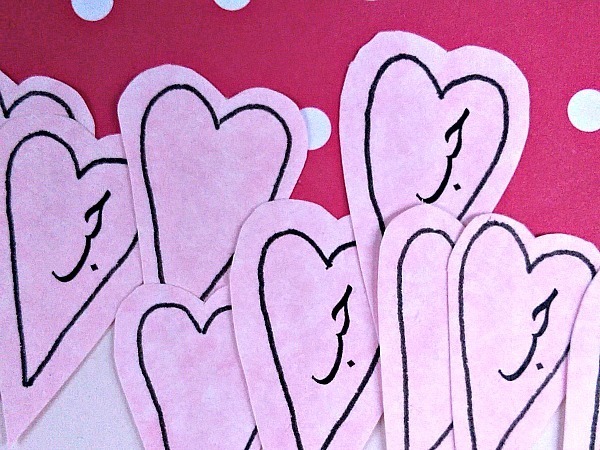 The endings of the I Love You words on the cards to a male and female are different. 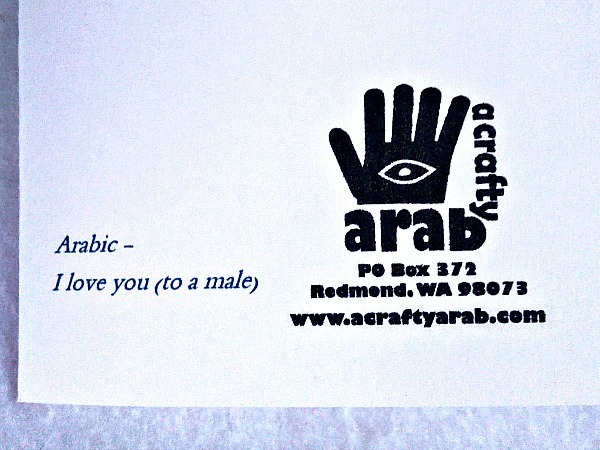 If you'd like a love card to a female, please check here https://acraftyarab.zibbet.com/shop?utf8=%E2%9C%93&shop_section=&keywords=i+love+you.